Guess what season it is? Yep! Strawberry Season! 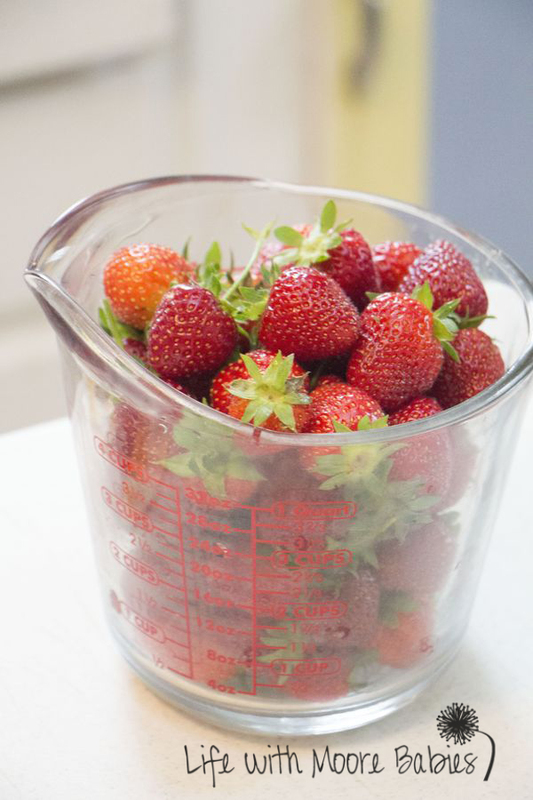 And this year we are actually getting a lot of strawberries from our little patch! The first night I really started picking them, I ended up with about 4 cups! Plenty to make a Strawberry 7-Up Cake! 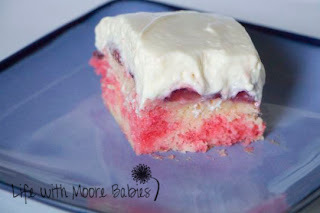 Strawberry 7-Up Cake may not seem much different then an ordinary jello poke cake at first glance, but the special ingredient 7-Up (or in the case Sprite) makes it super light and fluffy! 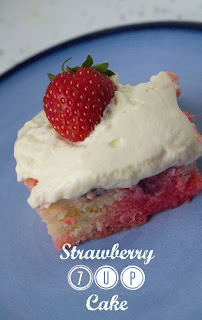 -Mix cake mix with all ingredients listed on box, pudding, and 7-Up. -Grease 9x13 pan and bale at 325 degrees until knife inserted in center comes out clean. I usually start by baking it as long as the box recommends and then checking. -Then you need to add the strawberry part. For this you mix 3/4 C hot water with strawberry jello until dissolved then stir in cold water. -Using a toothpick or fork prick the top of the cake in several places. 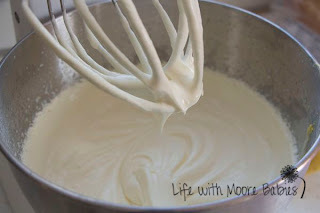 Then pour your jello mix all over the top! 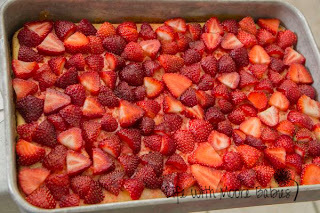 -Cover the top with sliced strawberries. 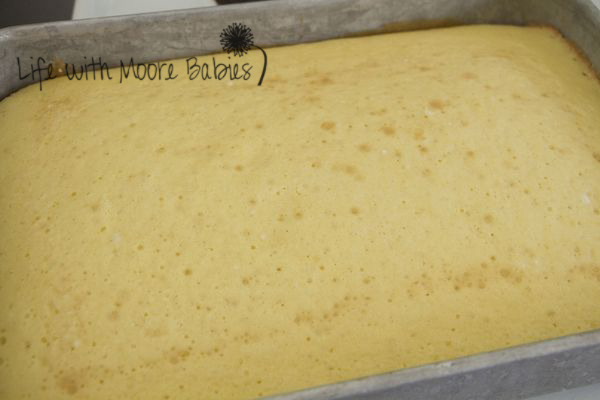 Now for the topping. 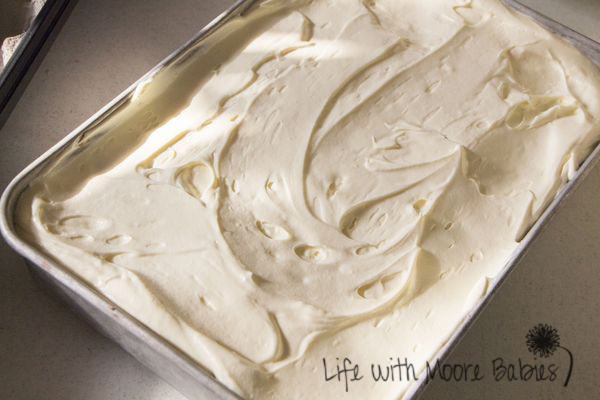 I use a really creamy yet light topping made with Dream Whip for this cake. 1 envelope Dream Whip and ingredients listed on box. -Mix all of the above according to the directions on the box. -You have to whip it a long time to get it very thick. I left mine whipping and went to do some things and come back to it about 10 minutes later. It will NOT be stiff, but it will hold its shape fairly well. Spread over the top of the strawberries! 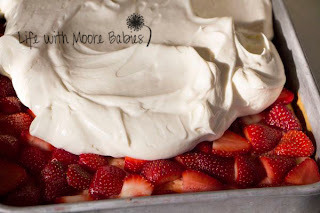 Super light and fluffy with a delicious strawberries and cream flavor! 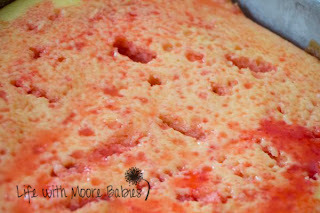 This is one cake even my husband (the cake hater) will eat!